Looking south over the lawns of Plaza de la Constitución to La Moneda Palace, the seat of the President of the Republic of Chile. 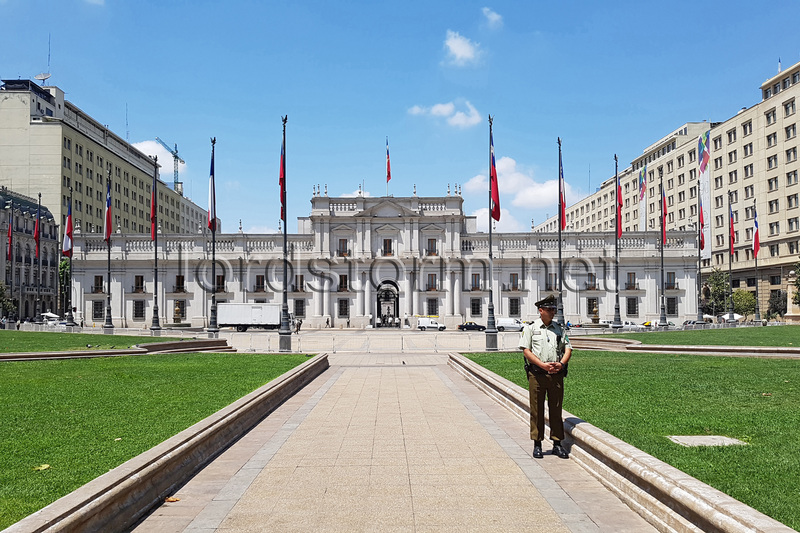 La Moneda was originally a coin mint (hence the name), built between 1784-1805. President Manuel Bulnes made it his residence in 1845.